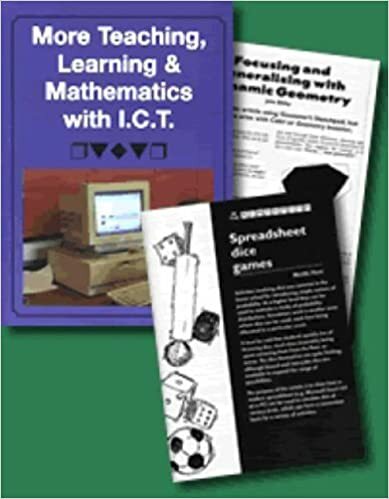 This book contains a compilation of articles from "Micromath", a journal of The Association of Teachers of Mathematics. The articles were published between Spring 1995 and Winter 1999. The articles have been selected to encourage and enable the reader to use I.C.T. in their classroom. Their content ranges from primary, through secondary to higher education, with some articles encompassing more than one category. They have been arranged into four main themes of logo, geometry and spreadsheets, and graphic calculators along with a miscellaneous section, which dips into different topics including, the internet. There is also a section of challenges.